Wild Weather Ahead For NM & West Texas Today Into The Weekend. Ground Fog At The NM/TX State Line On Hwy 62/180. 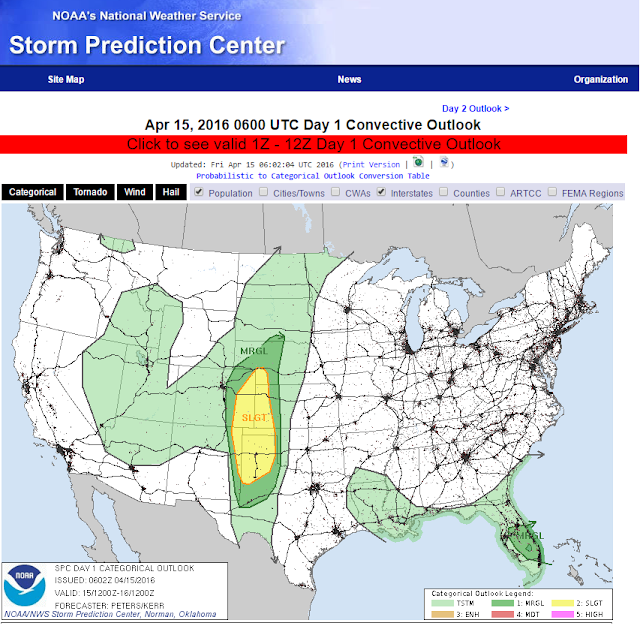 Severe Thunderstorms Today & Saturday. 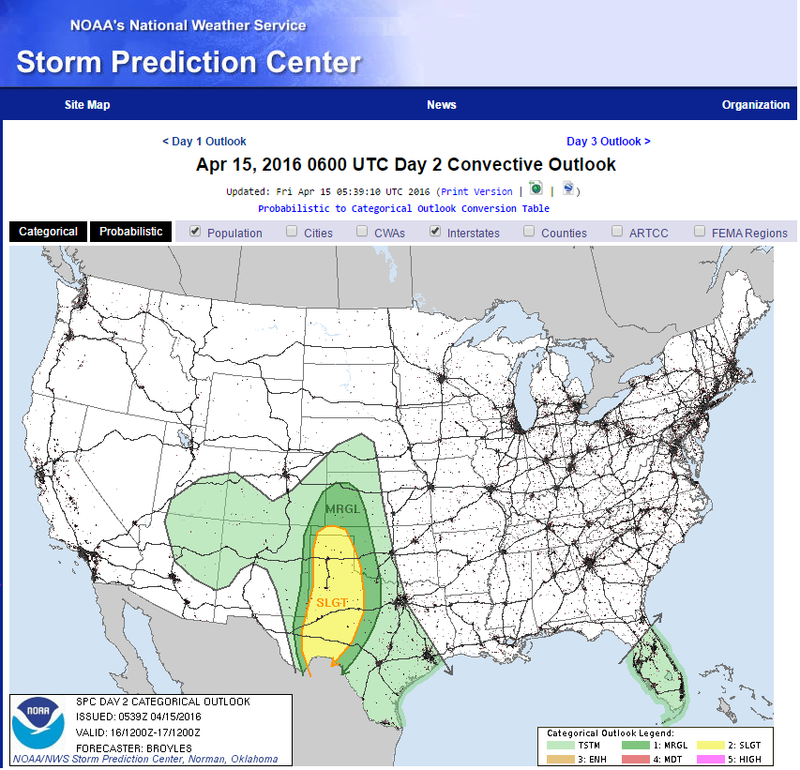 A Busy Weekend For West Texas Concerning Severe T-Storms. 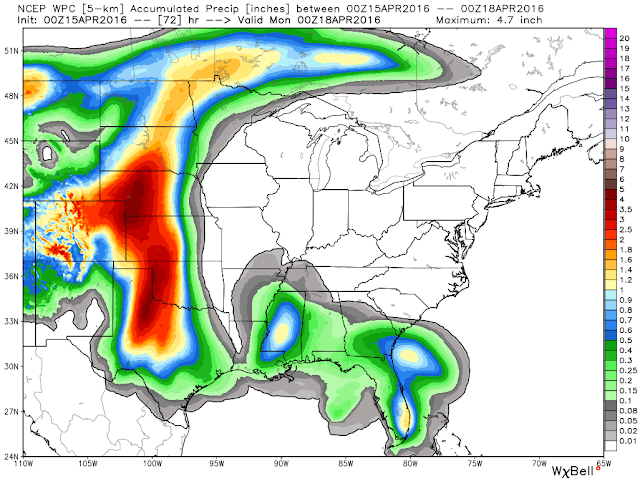 NWS Storm Total Rainfall Forecast. 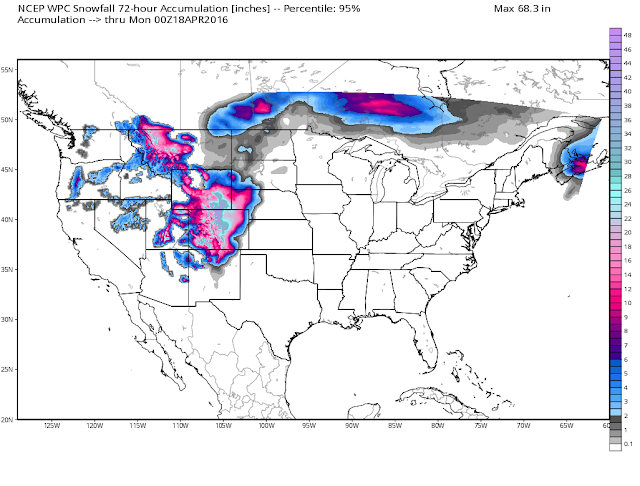 NWS Total Accumulated Snowfall Forecast. Yet another potent late winter-like closed 500 millibar low is forecast by the models to sink into northwestern Arizona late this afternoon. 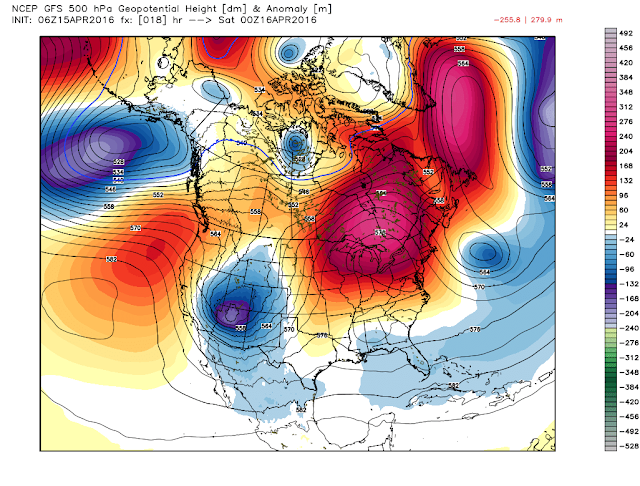 This storm will be in no hurry to leave the area either. 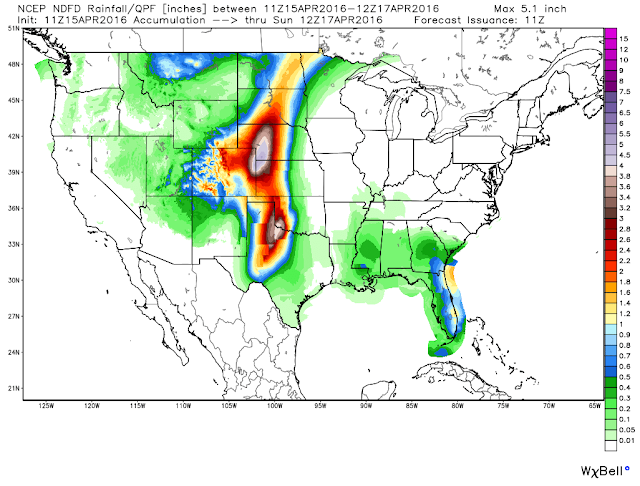 it is forecast to sink into north-central New Mexico this weekend and then wobble northward into northeastern Colorado by Tuesday morning. 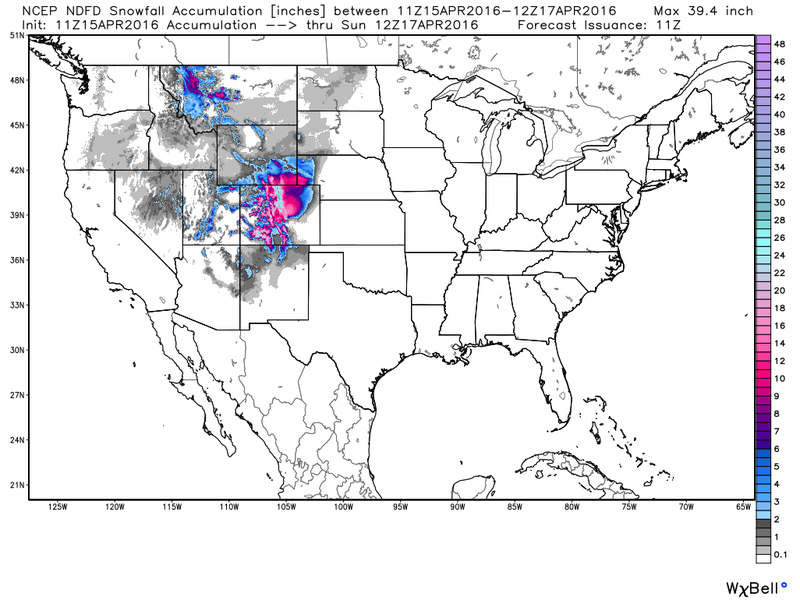 Denver, Colorado isn't done with winter yet. They have a Winter Storm Warning in effect for Saturday and Sunday. How about 8"-14" of snow folks, that's in their forecast. The snow is forecast to settle so there may not be this accumulation on the ground but still! 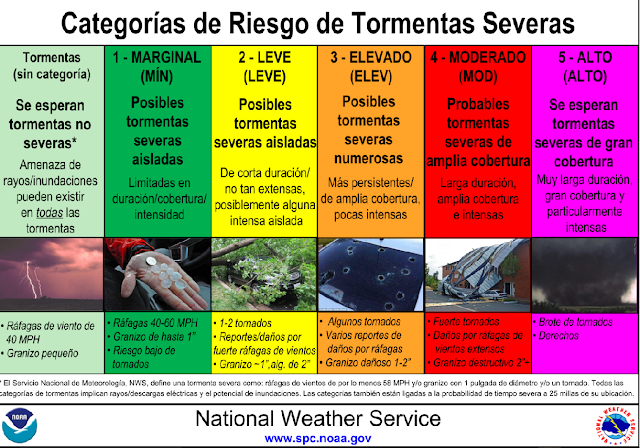 Click on this link for additional forecasts, watches, and warnings associated with this powerful storm. 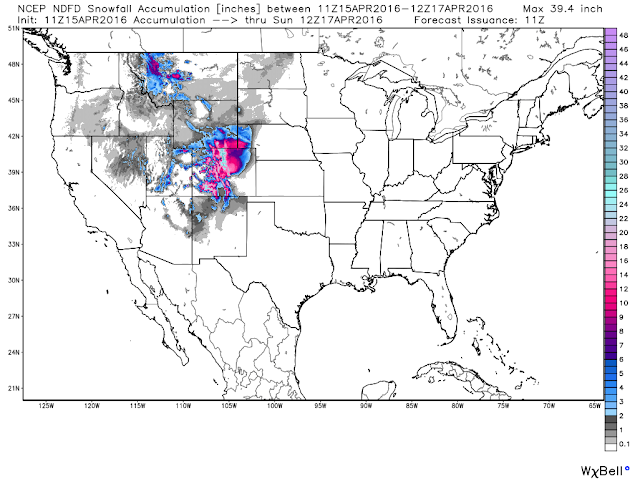 Snow is forecast to fall over parts of northern and western New Mexico this weekend also. Check in with the Albuquerque NWS Office for more details. 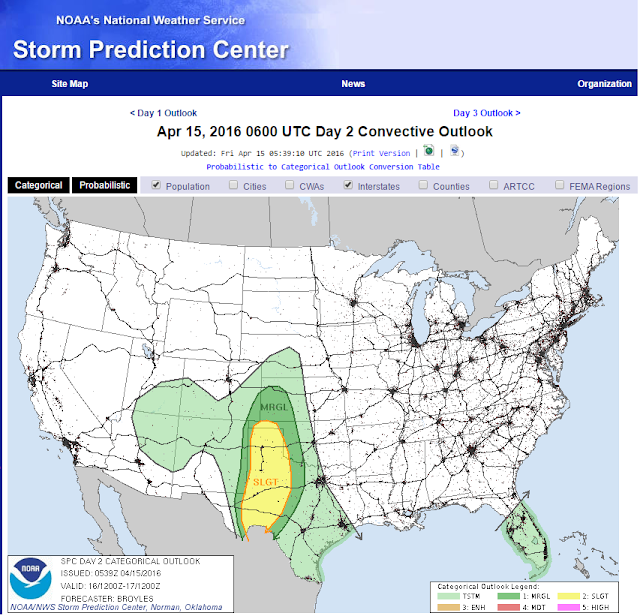 A slight risk for severe thunderstorms along and near the NM/TX line will be our concern this afternoon and evening. Saturday looks like a more active and widespread severe weather threat for the eastern one-third of New Mexico including the southeastern plains. 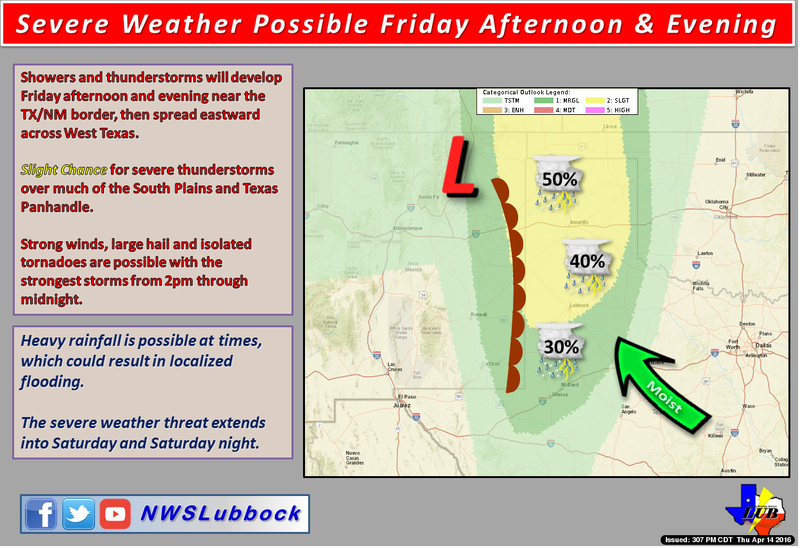 Isolated tornadoes, large hail, damaging thunderstorm wind gusts in excess of 60 mph, and frequent deadly lightning will all be possible especially on Saturday. Locally heavy rainfall may lead to localized flash flooding also. 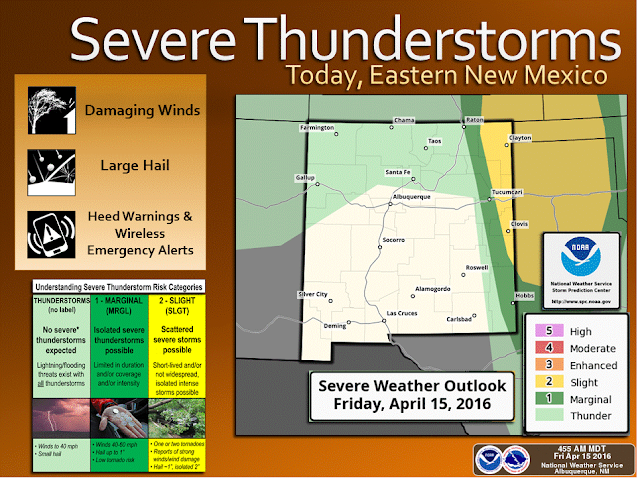 Visit the Midland NWS Office for more details.